Christians in Iraq “do not have much time left” without Western military intervention on the ground, the Archbishop of Erbil has warned. 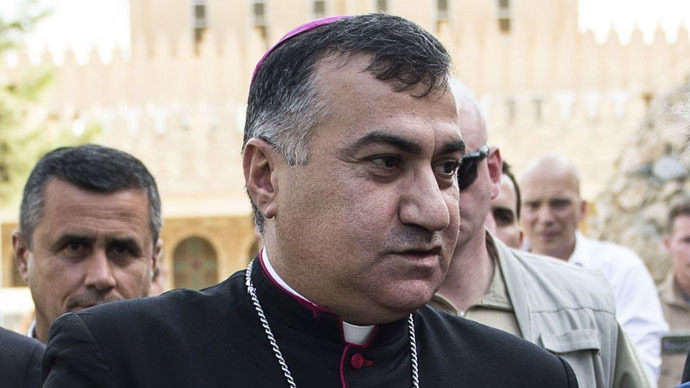 “We don't have much time left as Christians in this region,” Archbishop Bashar Warda of Erbil told a gathering of cross-party UK MPs and peers. He warned that Iraq's Christian population has declined “dramatically” over the last decade, from 1.4 million during the rule of Saddam Hussein. He called for the deployment of British troops to push Islamic State (also known as ISIS, or ISIL) away from the Christian villages of the Nineveh Plain. Erbil is the capital of the autonomous region of Kurdistan in Iraq, which is struggling with the influx of more than 120,000 Christians fleeing ISIS. Britain’s Prince Charles has also recently expressed his “deep concern” for Christians in the Middle East. Tens of thousands of Iraqi Christians and Yazidis fled their homes in the summer of 2014 following warnings from ISIS militants to renounce their faith or face death. The plight of Christians in Erbil was also witnessed by a delegation from the Church of England. Rt Rev Geoffrey Rowell, an Anglican bishop who retired in 2013, visited Erbil and Iraqi Kurdistan in December on behalf of the Archbishop of Canterbury. He was hosted by Archbishop Warda. The visit was intended to show “an expression of solidarity with the local Christian community; to see at first hand the needs of the many internally displaced people who, then and now, look to the churches” for help, Rowell said on his return. “Education is a priority both for the ‘settled’ Christian community of Erbil, and for the displaced,” he added. He said that support is needed to help people resettle and to become reconciled with their Muslim neighbors, some of whom were seen as having betrayed Christians. “The Iraqi Army and the Kurdish Peshmerga forces do not engender sufficient trust to be seen as safeguarding Christian returnees – some kind of international guarantor would also be needed,” Rowell added.